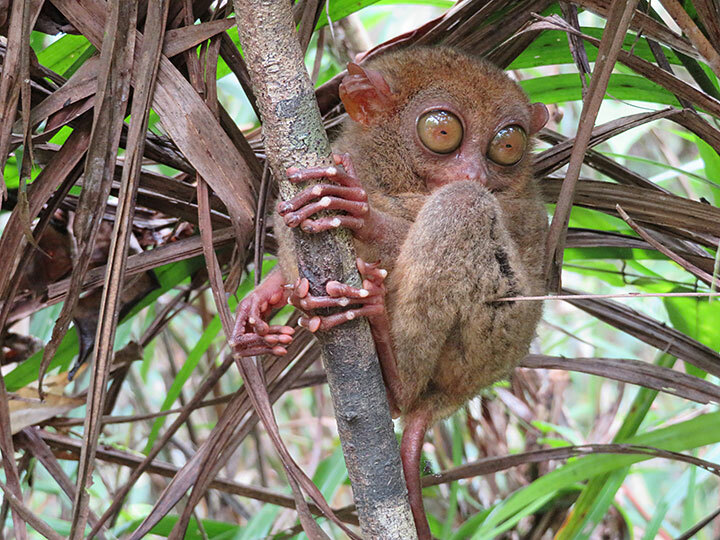 Philippine tarsier (Carlito syrichta). Tarsiers are arboreal. They live in and around the base of tree trunks and the roots of plants such as bamboo. They can occasionally be found in holes are at the top of trees.